Wordless books are some of my favorite tools to use with my English Language Learners. The possibilities are endless! I'm going to talk about the "why" and the "how" of wordless books, then share a few of my favorites with you. 1. Wordless books foster confidence! Wordless books allow students to process the story in whatever language is more comfortable for them. They are then able to take those thoughts and translate them into spoken or written word. 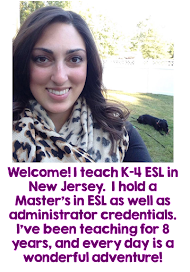 Doing so lessens the speaking risks language learners need to take to be successful. 2. Use wordless books to teach the structure of a book. Title, author, characters, plot, and setting can be difficult skills to grasp. Students can storyboard the pages to create a beginning, middle, and end graphic organizer. Wordless books let students understand those concepts without struggling to decode. 3. Use wordless books as speaking prompts. Assign a page or pages from the book, and have students narrate the story themselves. In doing so, they'll practice using adjectives, action verbs, and proper sentence structure. Students can work in partners, small groups, or as a whole group to discuss the story. 4. Use wordless books as writing prompts. Prior to reading a wordless book, present one page and have students write based on the picture alone. A shared writing idea would be to do a "circle write" where one student writes one page of the story, the next student writes another, and so on until the book is complete. 1. Read wordless books silently. This tip is difficult for me, but it's so helpful for my students. During the first half of a first read of a wordless book, I try not to say anything. All I do is turn the pages. For my kinders and firsties, I may track my finger along the movement to help guide their eyes, but I try not to say a word. Watching their faces as they read the pictures is an easy and effective way to gauge comprehension. If I notice students need some help, I may ask a guiding question, but I try to leave my own thoughts out of the story. 2. Re-read, allowing free discussion. During the second half of a long book, or during the second read of a short book, I invite students to share their thoughts freely. During this time I don't require raising of hands, as I want the conversation to be natural and fluid. It's during this time that I work on using academic language supports such as "I agree with you, but I'd like to add..." or, "I can see what you're saying and I think..."
3. Use wordless books across all content areas. 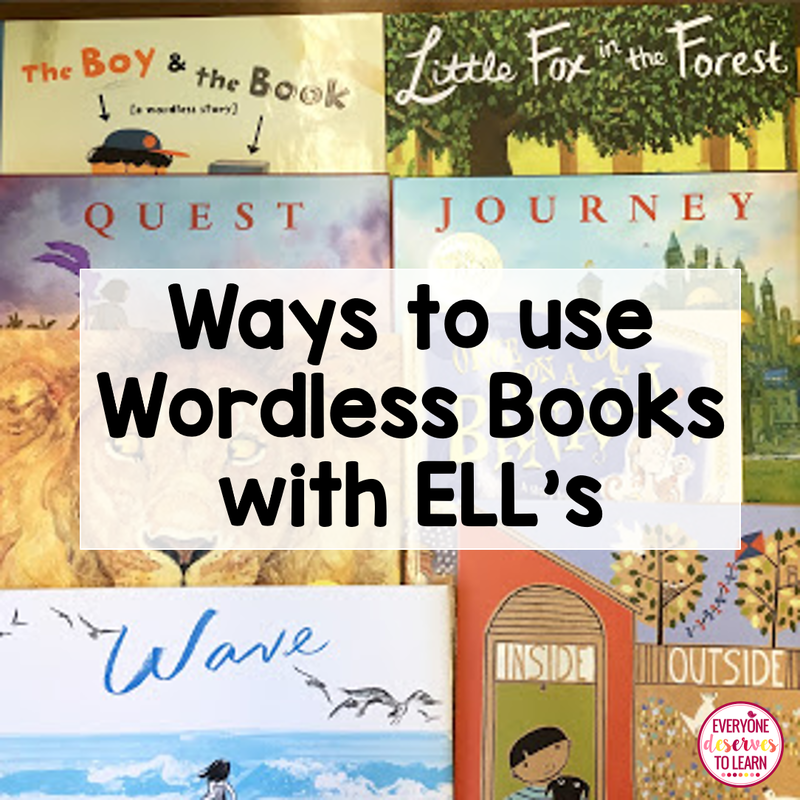 Have you used wordless books in your classroom? If not, what are you waiting for! Some of my favorites are pictured above. Are there any I'm missing?